Production of the MINI Clubman ALL4 – the brand’s first all-wheel drive model for the C-segment - has begun. The launch marks the brand’s advance into the premium compact segment with the first ALL4 model to be built at MINI Plant Oxford. 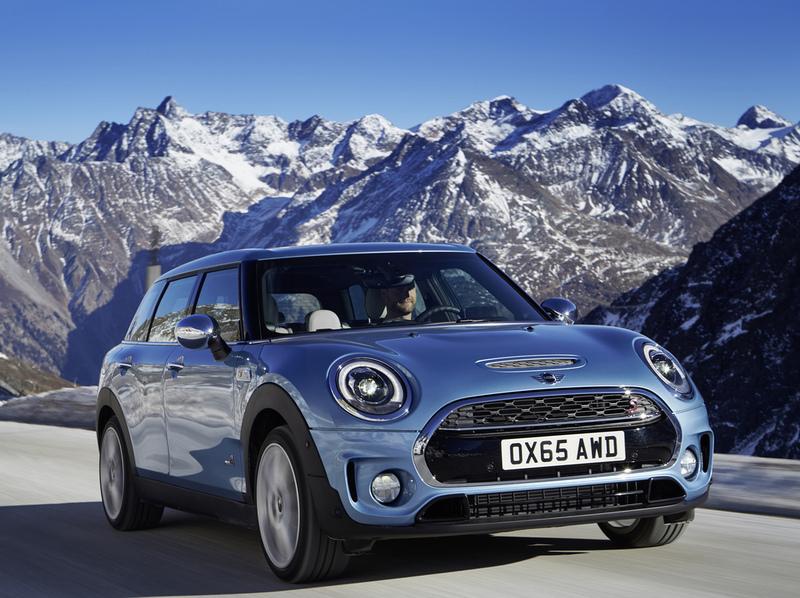 The ALL4 all-wheel drive system, which has previously only been offered on MINI Countryman models, has been specially redeveloped to ‘ensure sportier handling and improved versatility to further enhance the everyday practicality’ according to MINI. The all-wheel drive system includes electrohydraulic regulation, optimised weight and increased efficiency. Powered by the 2.0-litre 4-cylinder petrol engine offering 192 hp, the new Cooper S Clubman ALL4's engine is mated to a 6-speed manual transmission as standard, and optionally with an 8-speed Steptronic transmission. It achieves fuel consumption of 40.9 mpg with the manual transmission (44.8mpg for automatic transmission) and has CO2 emissions of 159g/km (146g/km). The Cooper SD Clubman ALL4 is powered by a 190 hp diesel engine with 400 NM of torque which is paired with the brand’s 8-speed Steptronic transmission as standard. Fuel consumption on the combined cycle is 58.9mpg with CO2 emissions of 126g/km. The new model features what MINI describes as ‘an exceptionally high specification’, including Satellite Navigation as standard on all models. Furthermore, every Clubman ALL4 gets the MINI Excitement Package as standard, which features a projection of the brand logo on to the ground beneath the driver’s side door mirror when the car is opened and closed, as well as extended interior lighting. The new MINI Clubman ALL4 is expected in showrooms this April, priced from £24,305 OTR.